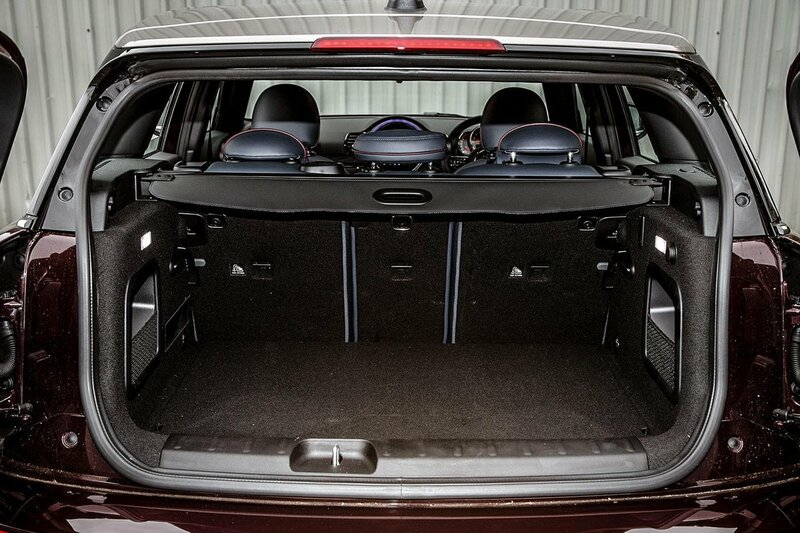 Mini Clubman Boot Space, Size, Seats | What Car? 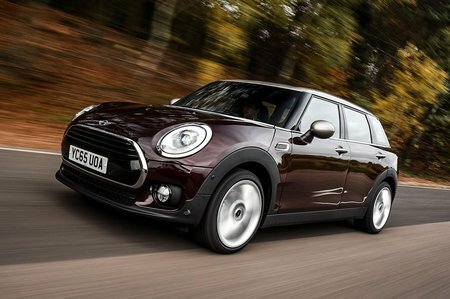 Two six-foot adults will be perfectly comfortable in the back of the Clubman, but taller passengers will feel a little cramped. You can even squeeze three people in the back, but they’ll likely not want to stay there for long. 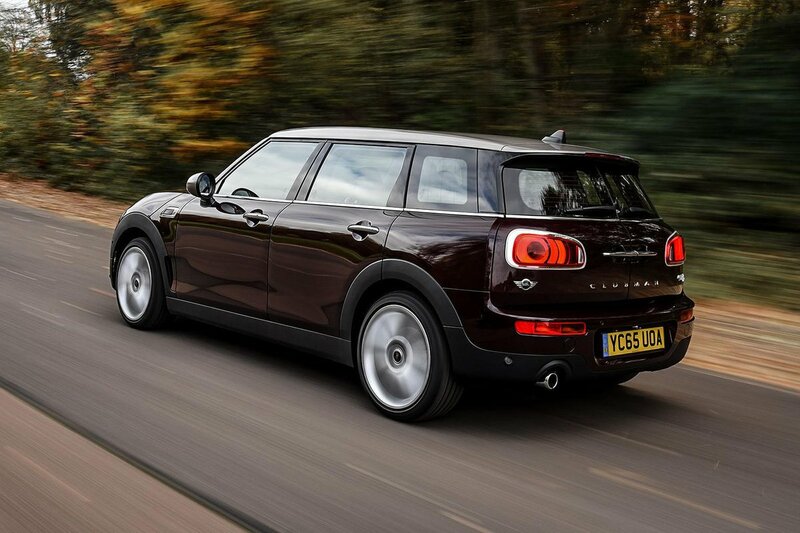 Access to the rear seats is good, though, which is impressive given the low-slung looks of the Clubman. The boot offers 360 litres of storage space regardless of whether you opt for four-wheel drive or not. This is a significant improvement over the previous generation of Clubman and makes the car much more practical. Boot capacity is about the same as you’d find in a conventional hatchback. The rear seats also split and fold as standard, 60:40, leaving a slightly sloped boot floor. With the seats down, you’ve 1250 litres of storage space on offer. For comparison, a Volkswagen Golf offers 380 and 1270 litres of boot space respectively. Mini’s decision to retain the quirky split rear doors also has its benefits. While it makes opening them in tighter spaces potentially more problematic – if someone parks close behind you, for example – it does make loading smaller luggage much quicker. Simply pop one door open, sling your bag in, and off you go. All versions, except perhaps the quickest all-wheel drive models, should return decent economy, too, which in turn grants them a sensible range on a full tank of fuel.